Discussion in 'Japan Toys' started by Lixx, Mar 16, 2010. Got to get my hands on that tokyo hedorah! 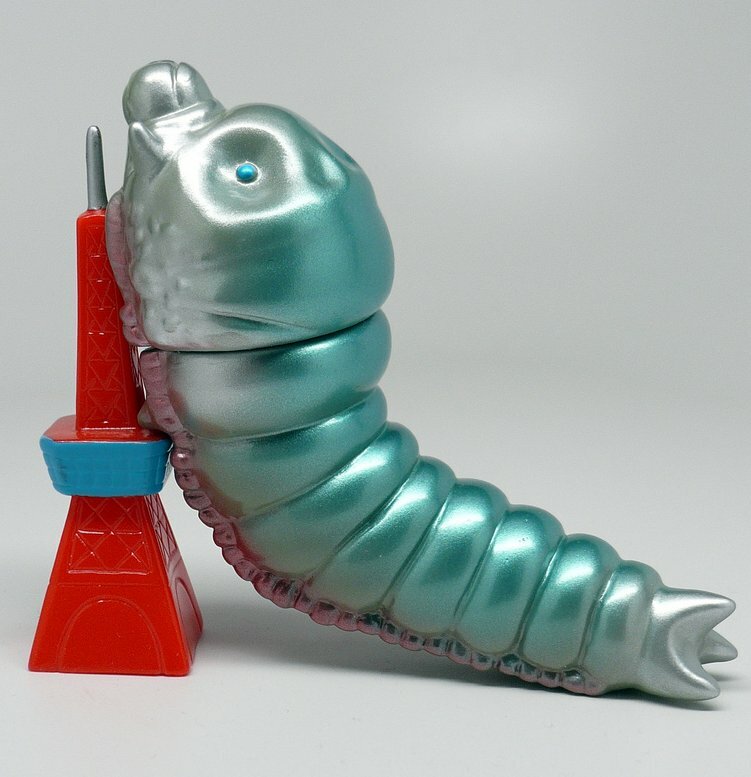 Oh boy, me likes that Gezora and the scale of larvae to the tower is great looking. So these will be around the 5" or so size? Ben - think of them as the yummy filling between your standard and mini size figures. So these will be around the 5" or so size? the larvae are around 4". I'll be getting some of these, and those of you who know me know that there are few who are more supportive of M1, but I don't really get the smaller versions of the Bullmark sculpts. They look very well sculpted and of course, expertly painted, but hasn't Iwakura already covered this theme? That said, I'll still be getting the Hedorah and the Mothra adult (based on Bullmarks), plus all the larvae (which are original sculpts). Wonder how that hedorah compares to the Charactics one from a few years back. I always loved that figure in terms of deforme and size - it seemed to go well with the Gargamel "nice middle" seres and other "modern kaiju" I would have loved to see more classic Kaiju done in that format. I guess these new Middles will make a nice entry point for new collectors and will attract completeists but I would have rather seen a new batch of Bullmark style minis. It still goes without saying that these are impeccable nonetheless. These are nice, but I agree with the comments re. there being little need for another lot of the same figures - even in a different scale. The Hedorah looks amazing though and makes me think more of the refined finish of the US Toys mini. I was just thinking about them being a nice match for the mid size MGs when I read this! The larva are about 4", so I think the other figures will be a little under 4". The Mecha G med. size is a little over 5". thanks for the image, alex. i think need some of these, especially the tower & larva. Unfortunately, I'm down for al of these except the Mothra. But why are there two twin larvae? The take away message from this film is, don't mess with the Peanuts! I really need the bigger tower. In Godzilla vs. Mothra twin larvae hatch from the egg and fight Gojira. I think there might be another movie where twin larvae hatch, but I can't remember which one. Yeah, I wanna say it's "Tokyo SOS". You might be right, I wasn't even thinking about the later movies. 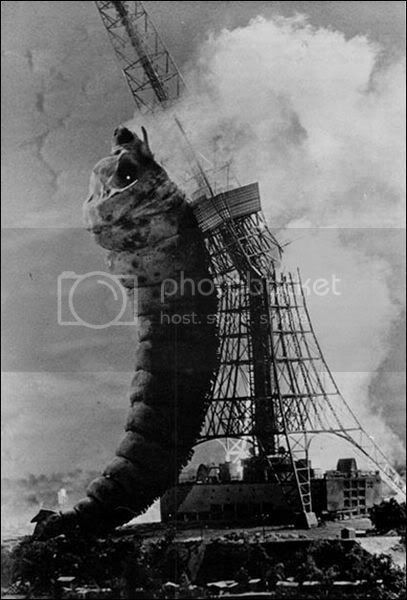 From the Showa era, I think there might have been 2 larvae in Destroy all Monsters. I talked to Tada from M1GO, these are all new sculpts (as opposed to shrunken down copies of the originals). The Tokyo Tower in the shot is for scale, it's the one that came with the Bullmark giant size Godzilla, but don't expect it to come with the toys. I keep coming back to the photo because that Mothra is beautiful! But I hate Mothra toys because of they don't display well, IMO. Im thinking a group of them would look great framed, think butterfly collection. getting them to stick in place would be a problem though and you wouldn't get much playtime out of them. Roger do you know if Iwakura's Bullmark minis were actually scaled down from the originals? I assumed the M1 figures were re-sculpted, but they are still reproductions of the Bullmark sculpts (Not the Dogora) in a smaller scale. I'm so looking foreward to these!